The Teton River has been fishing great. We are right in the middle of dry fly heaven, so everything underneath the sun. Sulpher & pink mayflies are out in force. Mahogany mayflies are starting to show up as well. We still have caddis still bouncing around & of course, the terrestrials are all working awesome (ants, beetles, hoppers, etc.). For those of you that are not dry-fly anglers, streamers have been working as well. You pretty much need to take the kitchen sink with you. The fish are getting a lot of pressure, and they are getting a little picky. The water temperatures on the Teton River are lower than previous years due to the snowpack from last winter; this translates to better fishing for longer. Still, focus on fishing early in the morning (until about noon), then after 4-5pm to avoid the mid-day heat. 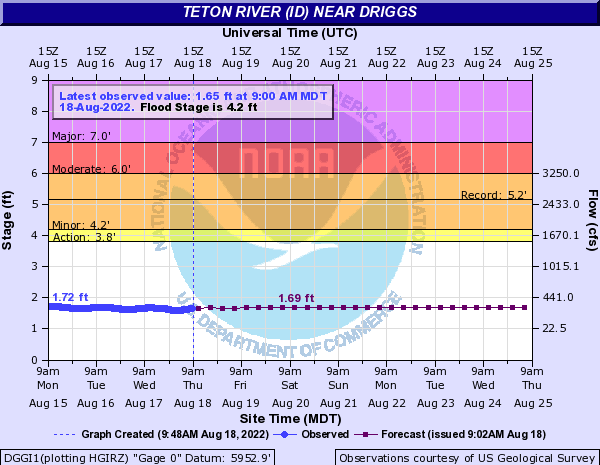 The post Teton River Fishing Report – Sept 4 appeared first on TRR Outfitters.